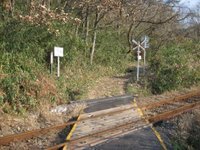 Doi is one of the seven postal towns of the former Mimasaka province, the first when coming down from the pass Man no Tawa from the Himeiji region, former Harima province 播磨国. The walk starts from the replica of the old toll gate, now close to the station. 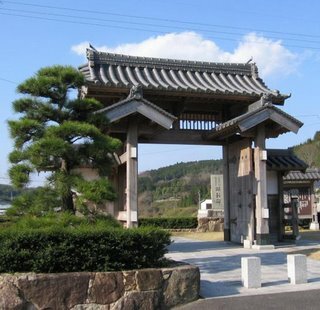 This gate stands at the border of Eastern and Western Japan as preceived in the Edo period and was especially large. Doi was a bustling town with many lodgings for the travellers. It had a reserve of 2500 day laborours and 5 horses. The town was rather well known and even the place of a novel by the famous Soma Ryotaro. 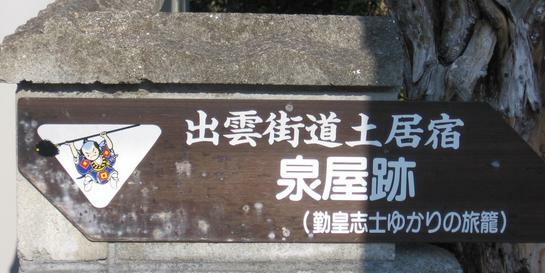 The story told about an episode of four samurai, who got mugged on the road and had their official money stolen, causing their death by harakiri at this spot. 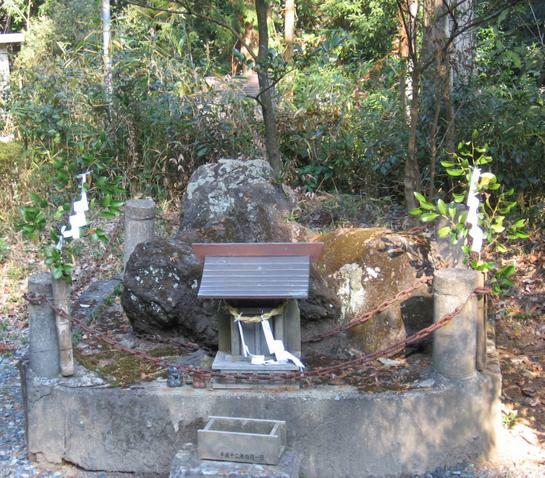 The samurai's names got cleared later and the villagers build them a grave with a large memorial stone to apease their souls, 勤皇志士の墓. 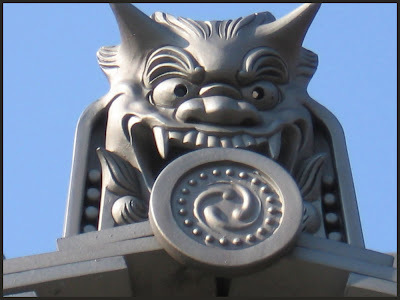 It has been rebuild in its old Korean style, measuring 4,5 meters in hight and is 7,8 meters wide. The metal fitting of the old gate look almost like a crocodile mouth. Or dragon mounth, come 2012 ! A plate showing the old town of Doi. Most of the old houses are lost, but in memory there are many plates reminding us of the most famous ones. Here is Izumiya. 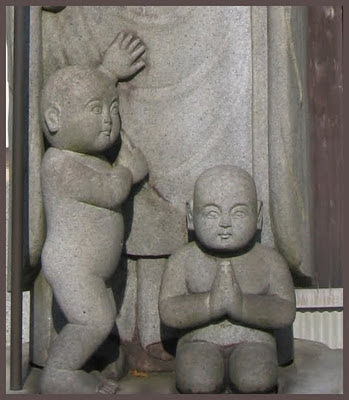 The little colorful figure on the right is a bearer of a Feudal Lord's procession, called YAKKO (reference see below). From the toll gate our walk took us through the straight road, about 700 meters long, but not many of the old homes are well preserved. The Watchful Stone Dog ! Look ! The Water sprouting Dragon ! Look ! The Votive Plaque with a Crane for Good Luck ! Look ! 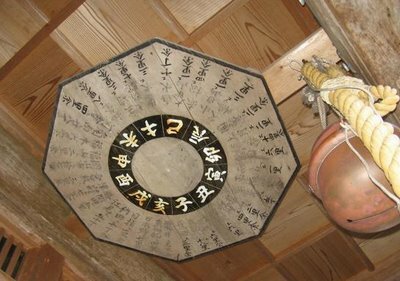 The Asiatic Lunar Zodiac Plate, a very rare sight at this spot! 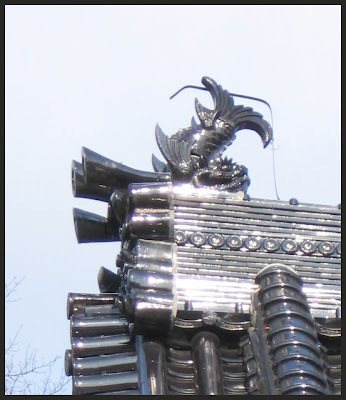 (たわ垰、an old word for tooge とうげ 峠 ). Hiking along the small road at the side of the school the walk reaches out of the twon and into the fields. 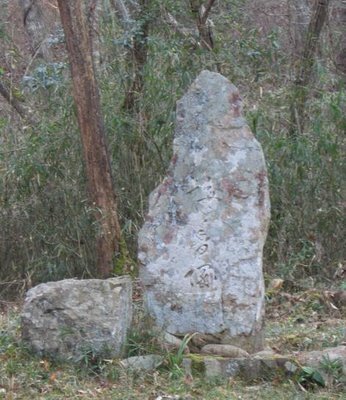 A lot of old stone graves on the slope stand there in memory of the weary travellers of old. Look at them HERE ! 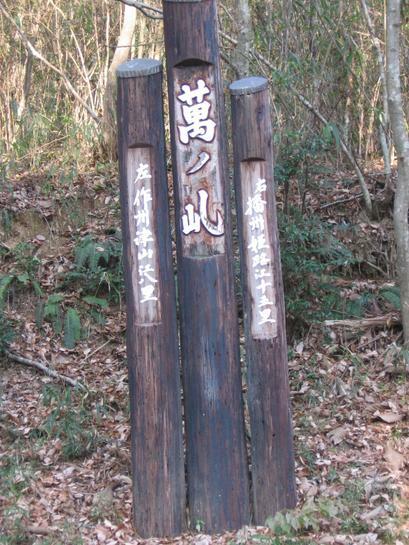 Finally crossing the modern raiway line, we came to the entrance of the old forest road to the pass. The walk is rather pleasant up the hill. Look ! In the middle of nowhere there is a sign and then a stone memorial in rememberance of Matsuo Basho ! The "Fragrant Plum Memorial", baikazuka, umekazuka 梅香塚. on this mountain path . . .
Basho published this haiku in the year 1694 in the collection A Sack of Charcoal (Bag of Charcoal) (Sumidawara　炭俵). The area here was known for the beautiful mountain crossing of this pass.
. - ume ga ka 梅が香 plum fragrance - . Explaining the place in Japanese. Photo. Climbing up a bit more. Look ! English and Photo are HERE ! Thus we reached the end of our tour for the day. 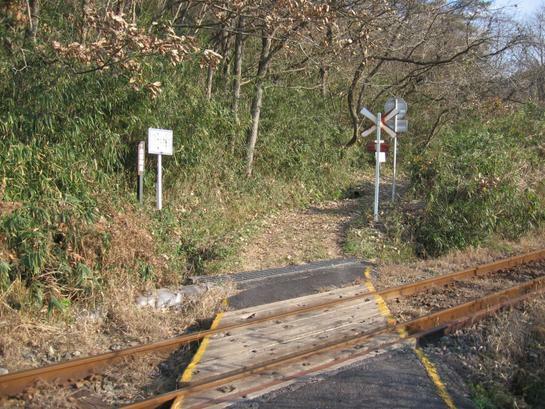 We hope to be back soon on the Old Road of Izumo.
. Photo Album - DOI .